After an incident involving hazardous chemicals — apart from the distressing task of attending to injured or deceased workers — you may also be faced with a range of complex chemical hazards. Things like spilled fuel and other liquid chemicals; or airborne concentrations of flammables, explosives, toxins, and corrosives. If compressed gases or other vapours were released into a confined space, you may have asphyxiation hazards as well. This blog discusses the key steps after an incident involving hazardous chemicals: protecting human life, and preserving the physical evidence which will help you determine why the incident happened and how to stop it from happening again. IMPORTANT: WHS Regulators or police may need to carry out investigations before anyone is allowed to access the scene of the incident. Make sure you have permission before gathering physical evidence and starting your own internal investigations. 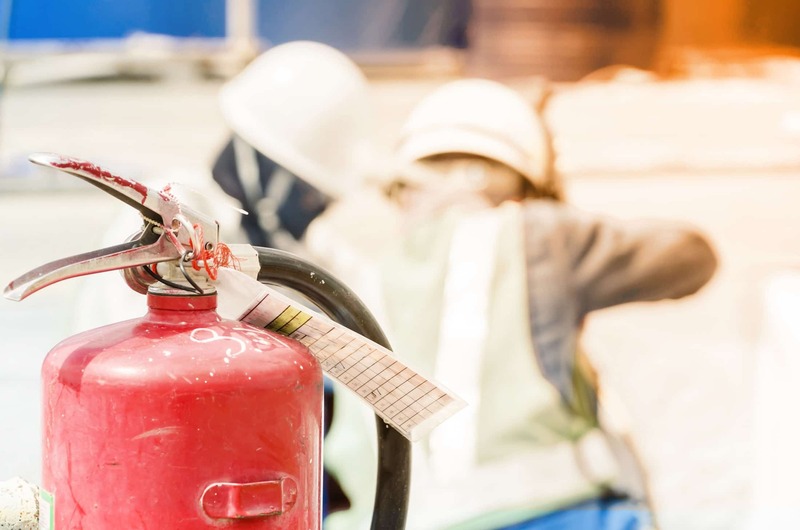 The most important task immediately following a dangerous incident in the workplace is to ensure the safety of everyone at the scene, and the workplace itself. This includes your own safety. Sometimes even the act of securing the scene can lead to further injuries if first responders and bystanders are unaware of the hazardous chemicals and Dangerous Goods present in the area. If chemical hazards exist, they must be isolated or cleaned up. You may need to rope off an area and erect warning signs — if you have a highly flammable or explosive atmosphere the entire area may need evacuating. If applicable you should provide a copy of the Manifest of Hazardous Chemicals to emergency services, and in some circumstances fit the response team with emergency PPE. Protecting human life and maintaining the dignity of the deceased is the primary concern before you can begin gathering physical evidence and recording data for an incident investigation. REMEMBER: Many of the steps during an emergency response and subsequent incident investigation happen simultaneously, and carried out by different members of the investigation team. This blog sets them out in a linear fashion but always let SAFETY be the ultimate guide to what needs doing first. Families of the injured or deceased. The WHS Regulator in your state or territory. And if there is a risk of chemicals being released onto neighbouring properties, forests, or farmlands you will need to warn affected landowners, Council, and the EPA. IMPORTANT: If you are carrying Hazardous Chemicals and Dangerous Goods at the job site you should assess the risk of chemical spills or an uncontrolled release. You may need to include a spill response procedure in your Emergency Plan. Even after near-misses where there have been no injuries or property damage, you will want to protect the physical evidence that will assist you determine what caused the incident. For notifiable incidents (eg, uncontrolled chemical spill, fires, gas leaks) the incident site and critical evidence must be preserved until a WHS Inspector arrives. Preserving critical evidence means ensuring nothing is moved, touched, thrown away, or cleaned up (unless there is a threat to life). This includes the placement of tools and PPE, as well as the settings on machinery. If you are conducting your own incident investigation you must wait for the scene to be released, or conduct your investigations in a way that does not interfere with WHS Investigators or the police. Once the scene has been released you’ll want to start gathering physical evidence as soon as possible. This could be taking chemical samples, examining broken machinery, debris, or soiled PPE. It is important to restrict the access to the incident scene so that an over-zealous cleaner doesn’t unwittingly throw away evidence. REMEMBER: Physical evidence is vulnerable to deterioration or even erasure, it should always collected and recorded as soon as possible. Until you’ve finished gathering evidence (photographing the incident scene, taking sketches and measurements, gathering samples, inspecting machinery), you’ll want to restrict access to the incident site by the media, bystanders, and even from workers themselves. Rope off the area and request management announce the incident scene is non-accessible until further notice. IMPORTANT: If there are ongoing chemicals hazards (eg, toxic gas release, explosive atmosphere) the site may need to go into full lock-down to protect people from harm. Walter is STOREMASTA’s Dangerous Goods Adviser. He loves helping businesses reduce the risk that Dangerous Goods pose upon their employees, property and the environment through safe and compliant dangerous goods storage solutions. Segregate the 9 different classes of dangerous goods in a way which will reduce risk to people, property, and the environment.